What is the process in approving your house plan? Are house plans protected by copyright? How do I pick the correct house style? What are the advantages to building from a house plan? Selecting a house plan should be a really enjoyable part of the process in choosing your new home. But there is more to it than most people realise, and a lot of common pitfalls which can be avoided with a little knowledge from the outset. This page addresses the areas people most often come unstuck on during the house plan selection phase – we hope you find it useful. If there are any other questions you would like answered regarding house plans, please feel free to contact us here with your question. What is the difference between floor plans and structural plans? 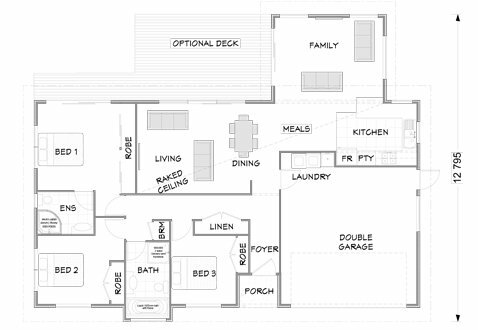 A floor plan is a concept plan for a house and shows the layout of the house with rooms viewed from above. A structural plan is more detailed and contains all the aspects to enable the house to be built such as the mechanical plans, foundation plans, and structural components. The structural plan is what is required to be submitted to the local Council and is the set of plans that the engineer, builder and other tradespeople will refer to when constructing the building. Many building companies have their own range of house plans available for clients to choose from and these plans can commonly be viewed on the internet. Copying house plans that you find on the internet can seem like an easy way to save time and money on your own building project but you need to be aware that architectural copyrights apply to house plans. This means that under the Copyright Act 1994 it is illegal to copy and use the plans unless you have the written consent of the owner of the plans. Who owns the plans depends on who has commissioned the plans. If a building company has developed and drawn the plans, then the firm owns the copyright. If a client has commissioned the plans the the default position is that they own the copyright. Some people mistakenly believe that they can avoid copyright infringement by modifying the plans by 10% but this is not the case as even copying a small part of a plan can be an infringement so it is better not to take the risk. 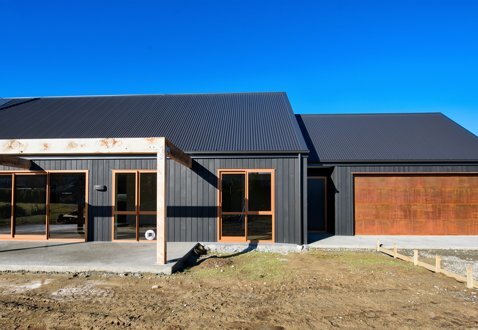 Which codes should housing plans comply with in NZ? All building work in New Zealand needs to comply with the Building Code even if the work doesn’t need a building consent. Building Code compliance covers aspects such as structural stability, durability, access, fire safety, services and facilities, moisture control and energy efficiency. The Building Code is contained within Schedule 1 of the Building Regulations 1992. The Building Code sets out the minimum standards a building must meet and is based on how the building should perform rather than describing how to meet these standards in terms of design and construction. When building in many cases it is preferable to not just meet the minimum standards but to exceed them. Details of the methods that can be used to achieve the performance standards specified in the Building Code are contained in Acceptable Solutions for the Building Code. Various clauses in the acceptable solutions deal with specific elements, for example E2 relates to external moisture so is consulted with regard to the design and installation of roof and wall claddings. Clause E1 relates to surface water and B2 covers durability. 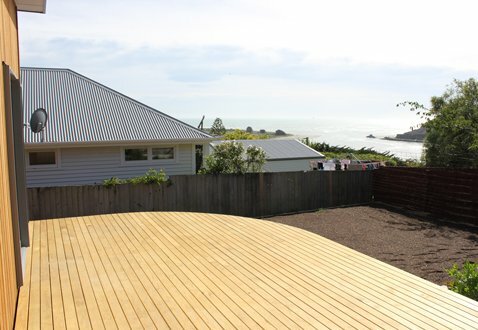 In terms of structure, the New Zealand Standard NZS 360 is used to design most homes and other low-rise timber-framed buildings in New Zealand. Is it safe to build using free house plans found online? As discussed earlier, stealing house plans is a copyright offence so you need to be wary of free house plans offered online as they could have been copied without authorisation. 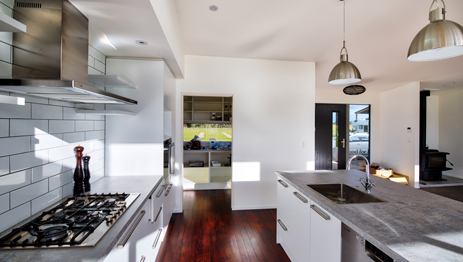 If the plans have been drawn up in another country they may also be uncompliant with the New Zealand Building Code. It is important to know this before using plans, as you may find yourself having to get the plans remade which is likely to be more costly and time-consuming than working with a reputable company to get plans specifically made for you and your section. How do you choose the right house plan for your location? There are a number of things to consider when choosing the right plan for your section. Your choice of house plan and room layout will be related to your family size and the lifestyle you want to lead in your home. For example, is it important to you to have space for entertainment or an outdoor lifestyle? The topography of your site will affect what you can build on your section and you also need to consider the orientation of your home to maximise sunlight. Generally living, family and dining rooms should face north as most people want these rooms to be the lightest and sunniest rooms in their home. Access to the site from the street and privacy from neighbours are other considerations when deciding which plan will suit your section, as are the style and average property value of surrounding homes. Once you have finalised your house plan with your architect or home building company, before you can start on the construction process you need to get building consent from your local Council. Most building companies and architects can advise you how to get plans approved step by step and help you be lodging your plans with the Council for approval and dealing with any requests for further information. If you are building in a subdivision it may also be necessary to apply to the developer for approval to ensure compliance of your plan with the subdivision covenants. Should I find a section or house plan first? There is not really any point in finding the perfect house plan if you don’t have a block of land to build it on. Because house plans need to be designed to suit the site it makes sense to find a section before deciding what you are going to build on it. Features of your section, such as elevation, the results of a soil test, susceptibility to flooding, weather impact, and orientation to the sun will all have an impact on the design of your home. What type of modifications can be made to a house plan? While it is possible to modify existing house plans, any changes to a house plan need to be carefully considered to make sure that they do not affect the integrity of the design. If you are looking to change the floor plan of a house radically, it is likely to be more economic to start from scratch with a new set of plans. Modifications to existing plans can often result in hidden costs such as a need to engage an engineer to redesign structural elements which can be impacted by seemingly minor changes. When choosing the style of your family home, personal taste is likely to play a big role as some people love the traditional look of a Victorian era villa, while others prefer a more modern styled home. Other factors to consider with regard to house style are the location in which you are building and the style of surrounding homes. For example a Spanish styled home might look great in a hot, dry location such as Central Otago but may look a little out of place in a subdivision of contemporary styled homes. Some house styles such as Scandinavian style homes work well in a range of environments from alpine to coastal. Your house size and your lifestyle such as whether you do a lot of outdoor entertaining may also influence your choice of style. When looking at purchasing a home, many people wonder whether they are better off building new vs buying existing. For many people their choice of home is dictated by where they want to live. For example, if you want to get your kids into a certain school zone but there are no sections available for sale in the area, buying an existing home may be the only realistic option. On the other hand, if you want to live in a specific location but there are no existing homes that meet your requirements, building estimates may indicate that its cheaper to buy land and build from a house plan than buy a home you are not happy with and embark on costly and disruptive renovations. There are pros and cons to both building from a plan and purchasing an already-built home. One great thing about building a new home is that you have the option of choosing a layout that fits your lifestyle. You will also be able to choose paint colours, materials and fixtures and fittings that appeal to you and reflect your individual style. 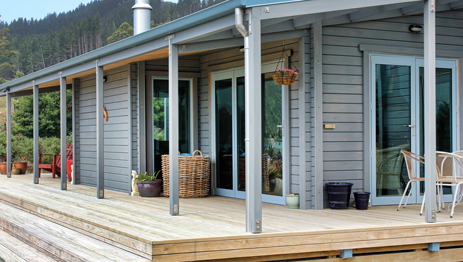 Architectural house plans by Fraemohs are available in Timbermode, or Solid Timber.